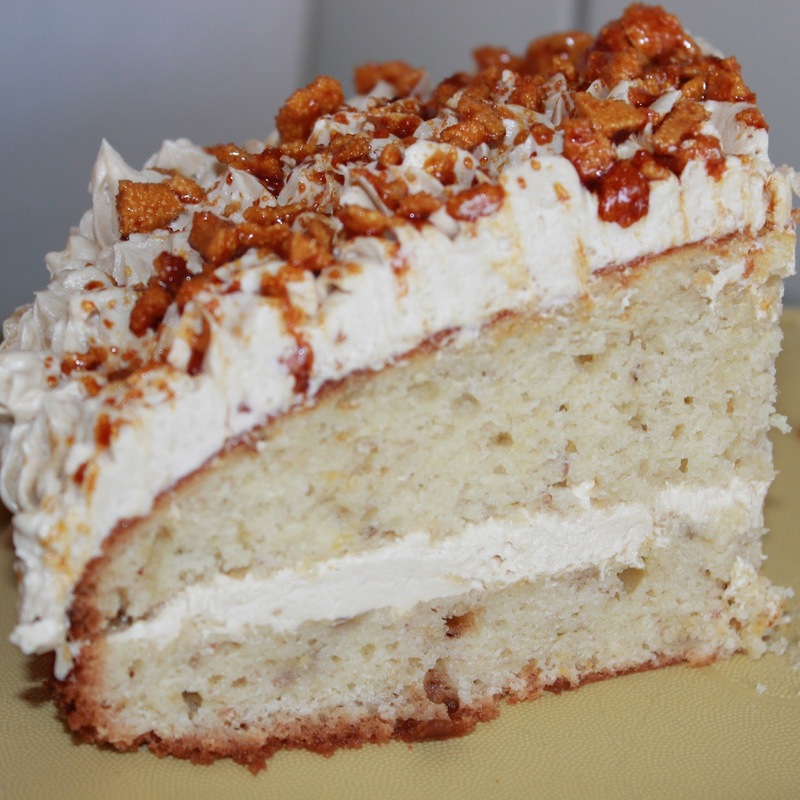 Today's creation is a bit of a mouthful- both to say and to eat! My husband recently celebrated his birthday, and I wanted to come up with a spectacular cake that would look and taste amazing. I had a few bananas languishing in my fruit bowl (doesn't everyone?) 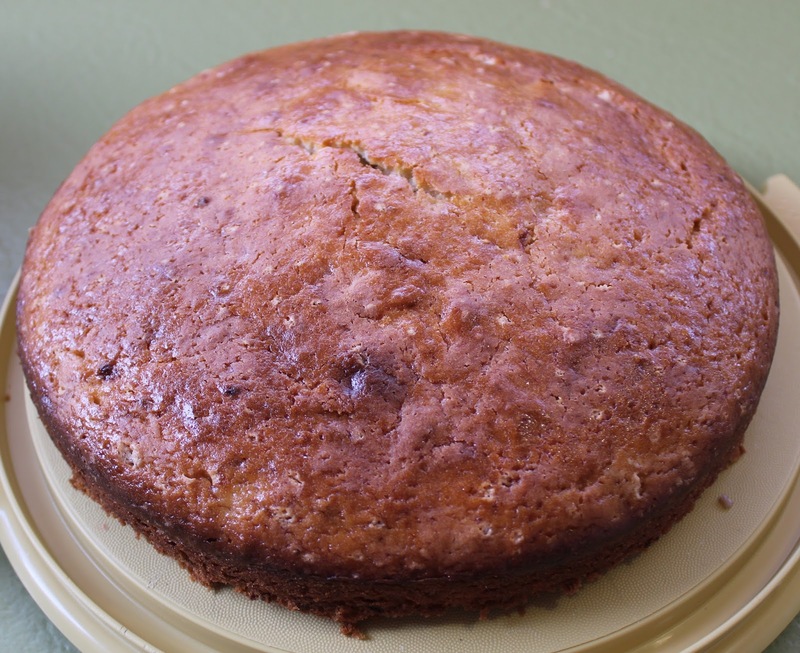 and so it was only fair I make a banana cake. 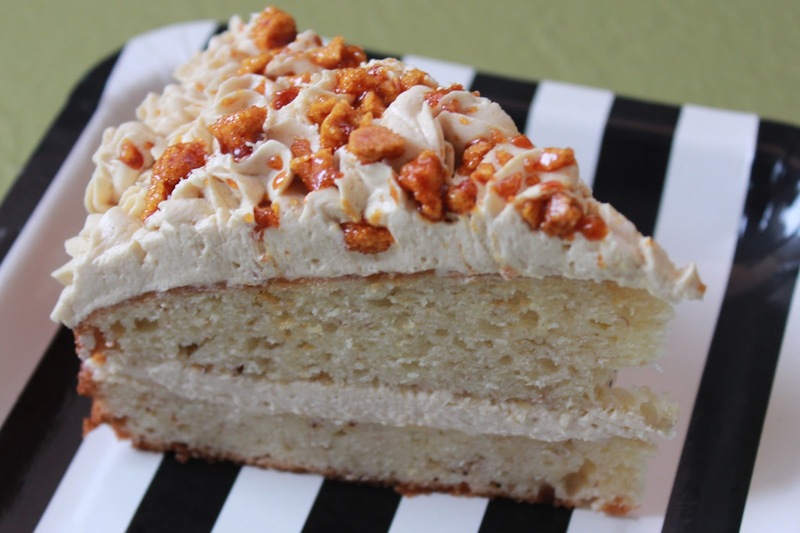 The idea evolved from there and I ended up with a creamy and delicious cake. I you are not in New Zealand you may not be familiar with Hokey Pokey, so I have shared a step by step process below. 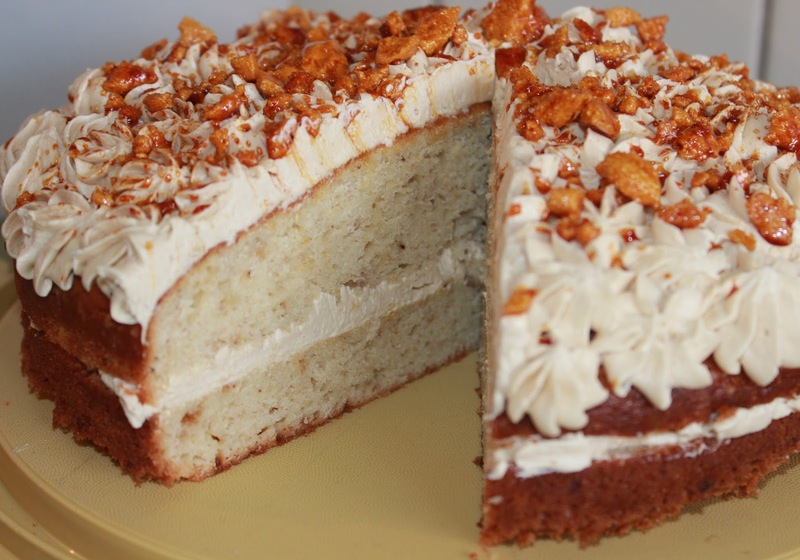 If you are short on time you could top with a Crunchie or Honeycomb bar, but I love making hokey pokey and my boys love the science behind it! Preheat oven to 180 degrees C. Grease and line a round cake tin. Cream together sugar and butter then mix in sour cream and eggs. Stir in mashed banana and vanilla extract. Add the flour, salt and baking soda then mix well. 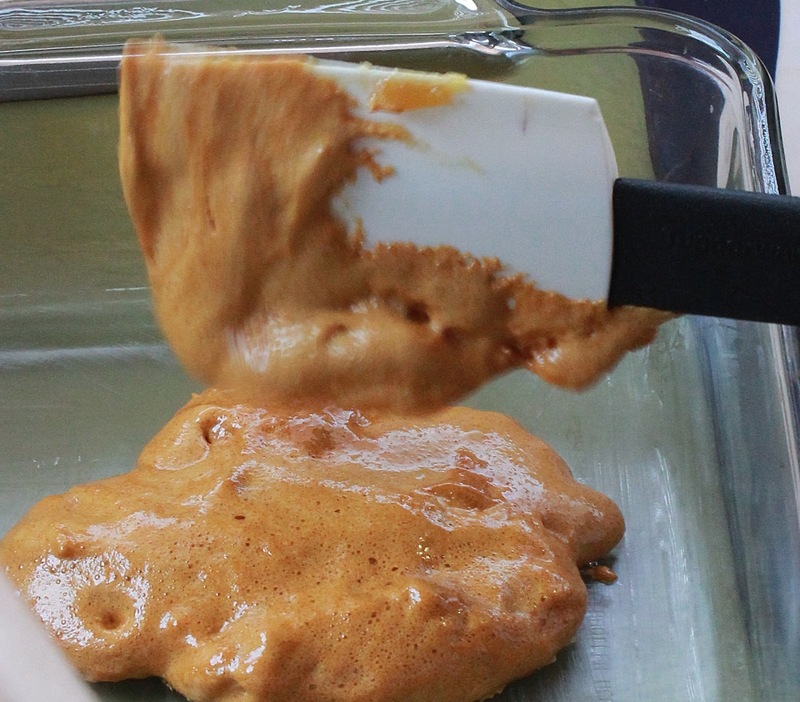 Pour batter into prepared tin, and bake in the middle rack of your oven for 35-40 minutes. 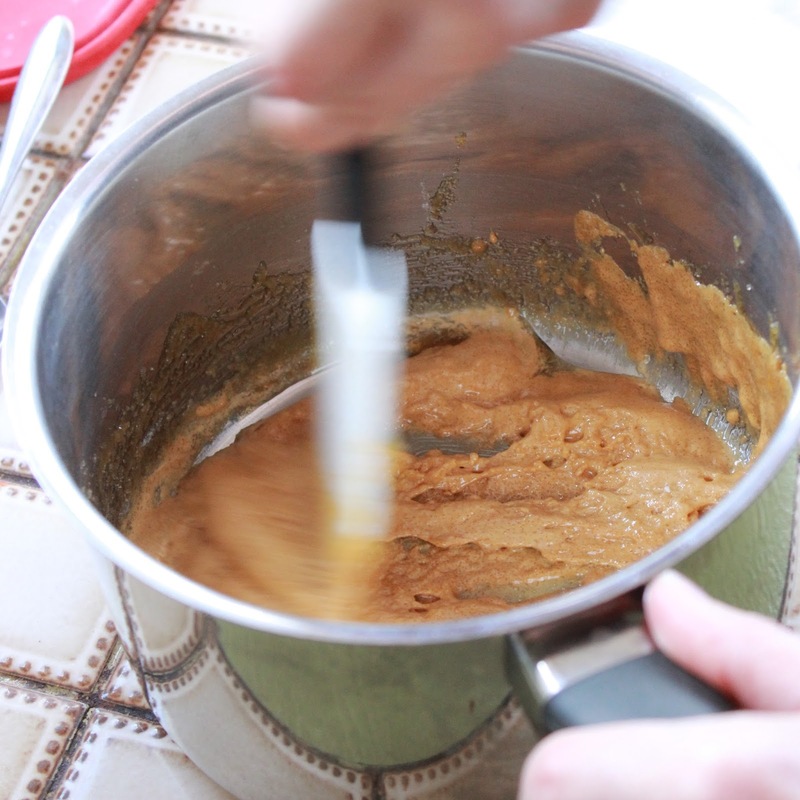 In a small saucepan, whisk flour into milk and heat, stirring constantly, until it becomes thick. Remove from heat, stir in the vanilla extract and let it cool to room temperature. 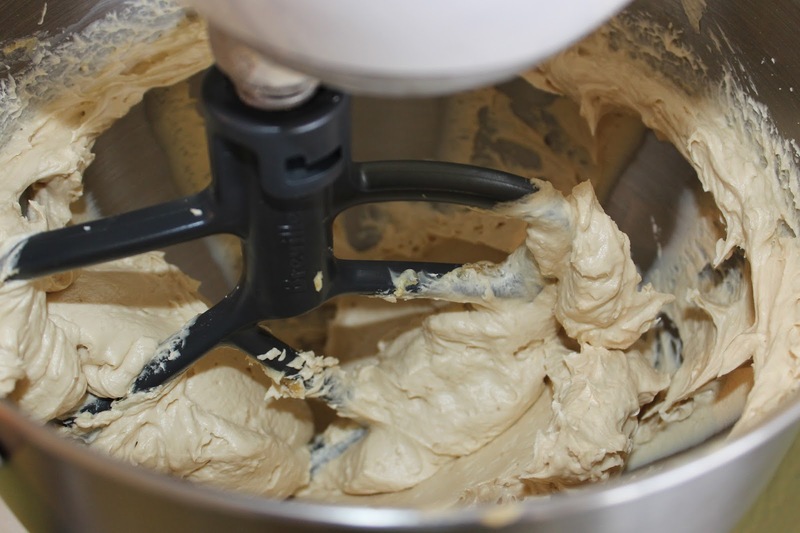 While the mixture is cooling, cream the butter, sugar, and salt together until light and fluffy, then add the completely cooled milk mixture. Beat for about 5 minutes until it looks like whipped cream. Prepare a buttered glass baking dish. 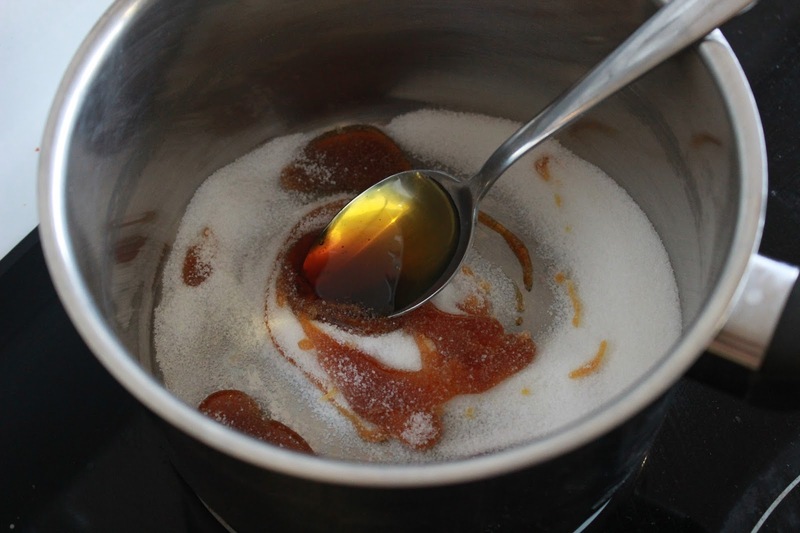 Put sugar and golden syrup into a saucepan. 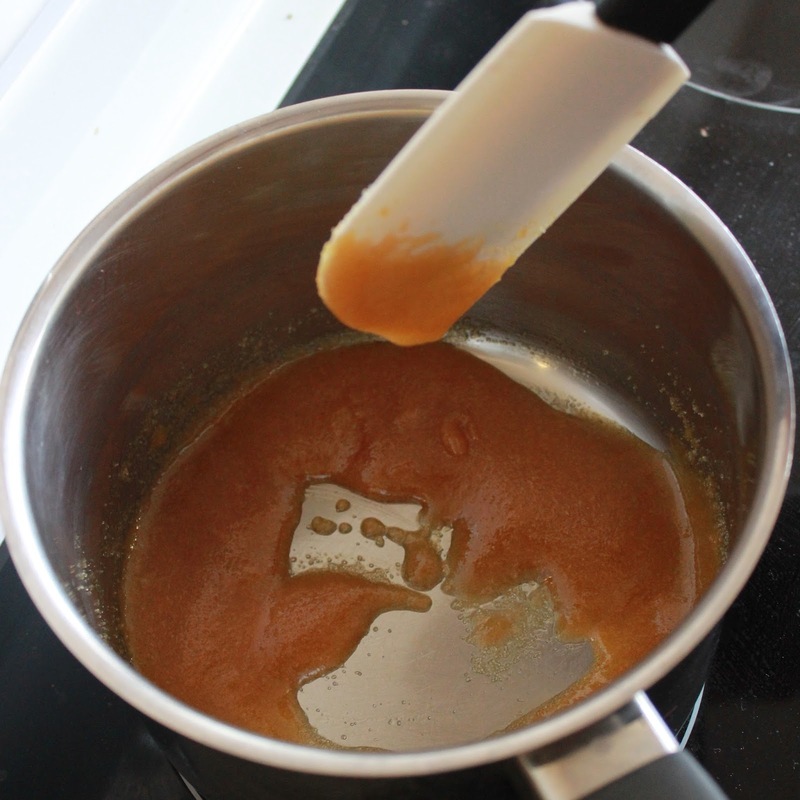 Heat gently, stirring constantly until the sugar dissolves. Increase the heat and bring to the boil. Boil for two minutes. Stir occasionally, if necessary, to prevent burning. Remove from heat. Add baking soda. Stir quickly until mixture froths up rapidly! Pour into the buttered dish immediately. 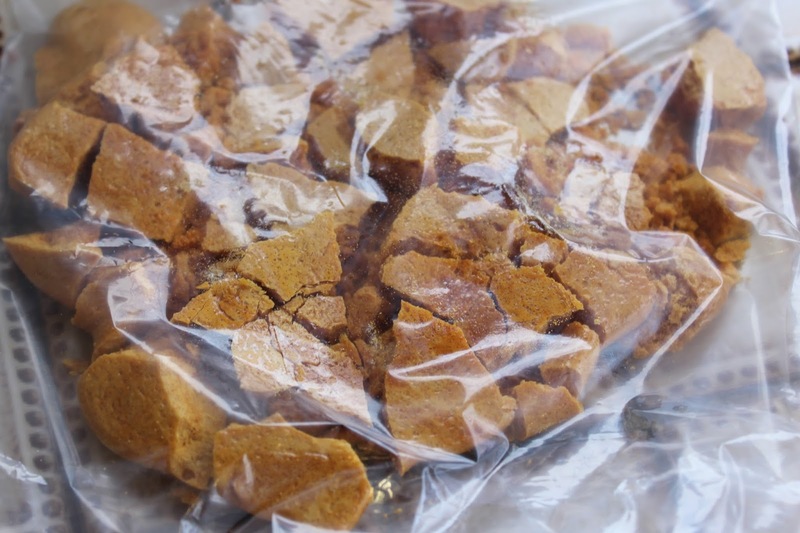 Leave until cold and hard then place in a snaplock bag and crush with a rolling pin to form the crumble. 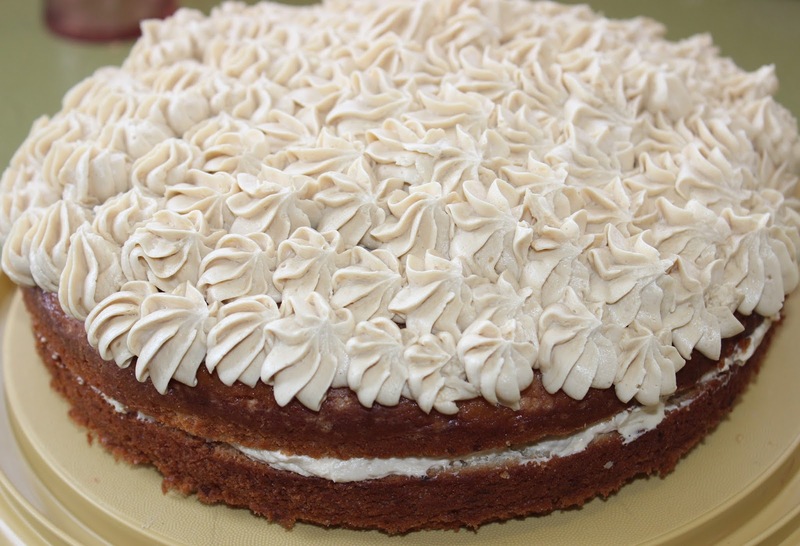 To create the cake, spread a thick layer of the buttercream on top of one cut circle and place the other circle on top. Pipe remaining buttercream on the top of the cake using a star nozzle. 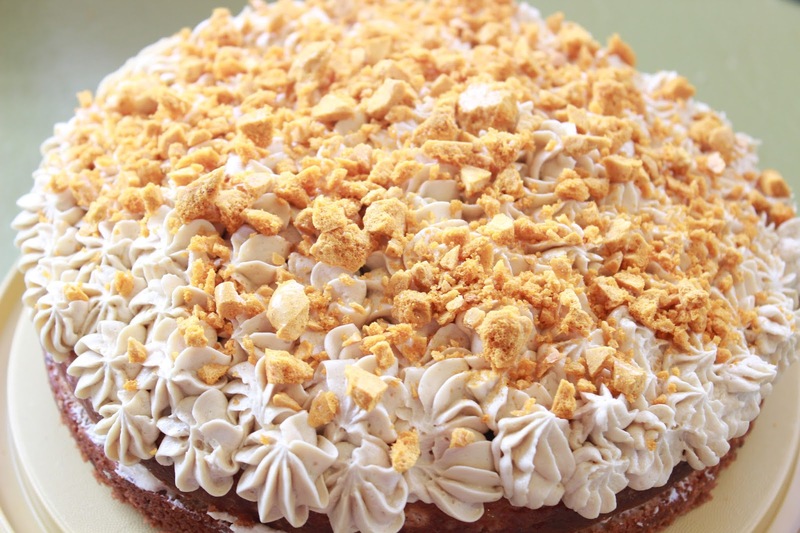 Sprinkle the Hokey pokey crumble over the top of the cake. 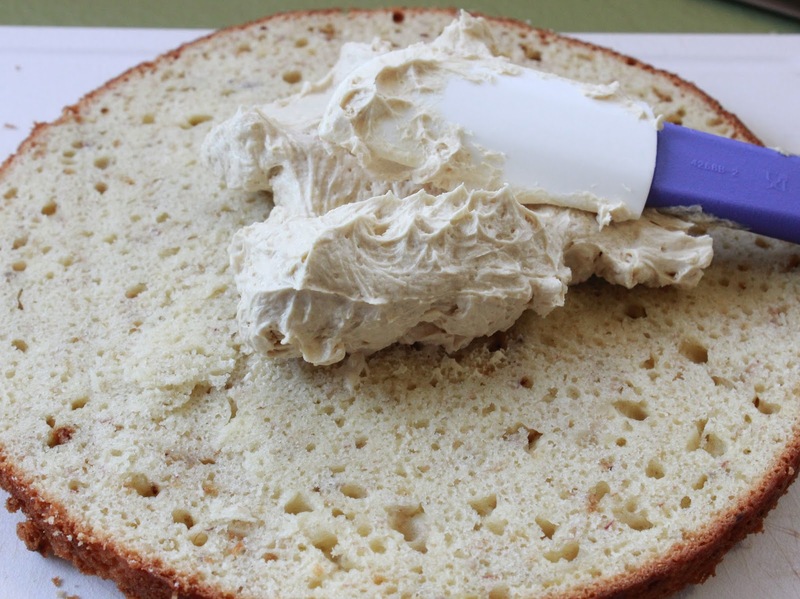 You may want to do this just before serving as it does melt into the buttercream over time. This cake was the perfect celebration cake, and a welcome change from a traditional chocolate birthday cake. Even better, it still tasted great the next day!